Play and create your own lady bug land with this fun and inspiring canvas. Two projects to inspire. 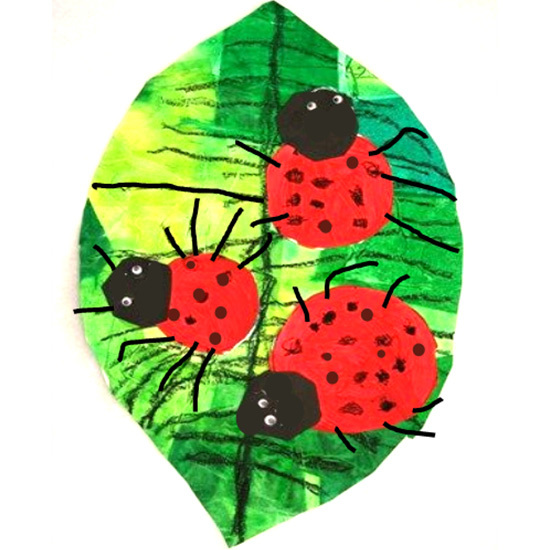 Begin with a creative art canvas, create a large green colourful leaf for your little ladybugs to gather on, using crayons and wash. How many Ladybugs will you create? Helpful instruction and idea cards to inspire. Also include your own printing block and ink to make and stamp your own ladybug and a drawing art pen to complete the legs and spots. Print up cards or even wrapping papers for your next party. Everything included for a wonderful Ladybug inspired time.